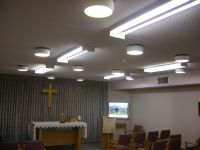 with 4 High Bay LED Fixtures (Input = 0.24 KW). New Fixtures provided Instant-On Lighting. No run-up time after a power outage, for example. 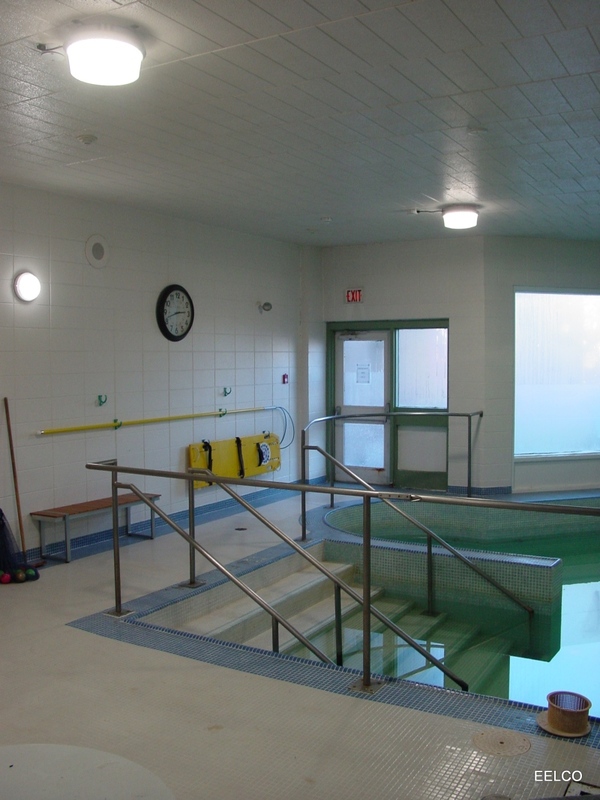 BEFORE: Here are several of the existing fixtures. ....excellent colour rendition of the new LED lighting? 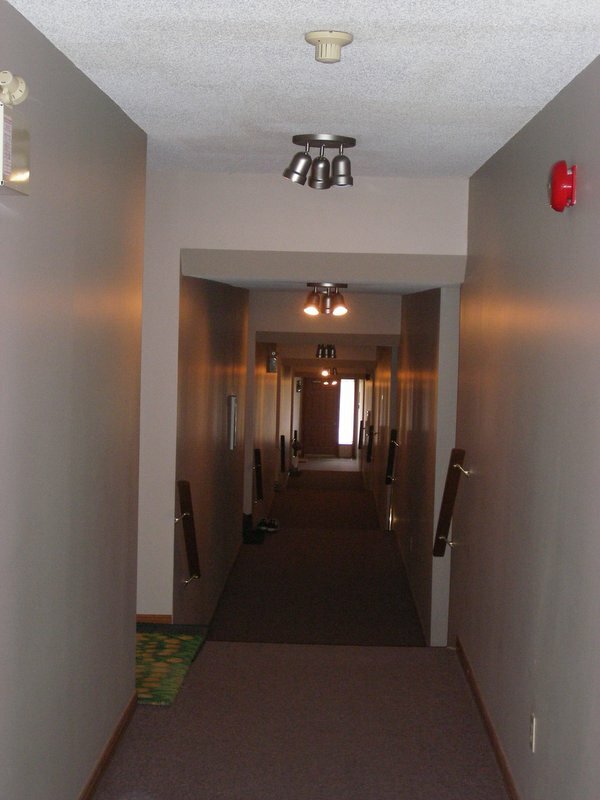 Each Ceiling Fixture had 3 X 50W Incandescent Lamps each with a Rated Lamp Life of: 1000 Hours. 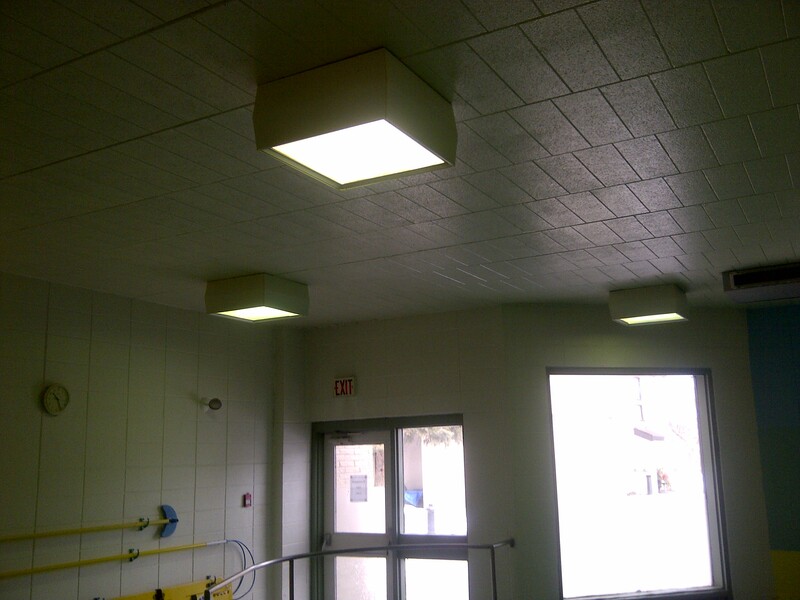 Since the completion of the above, lighting technology has greatly advanced to provide further significant improvements in energy efficiency, economically. 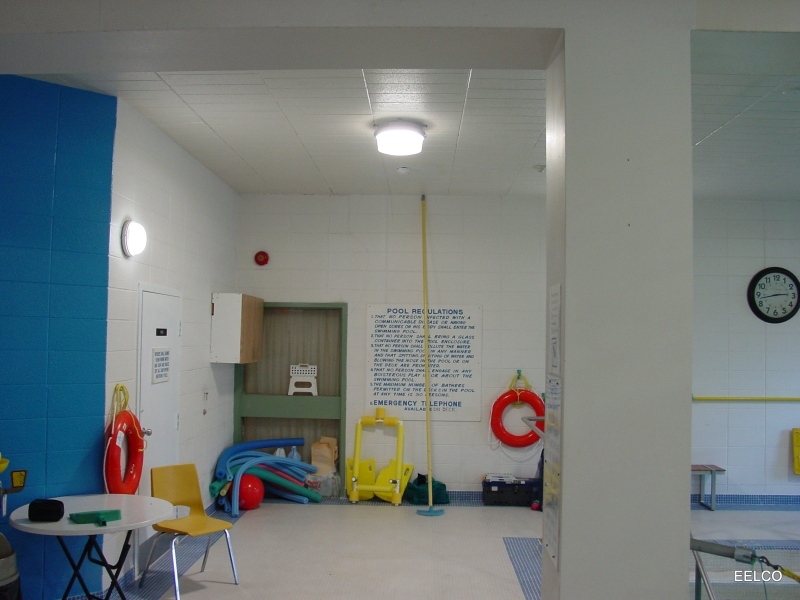 BEFORE: A great many lights were required to facilitate changes in required light levels. 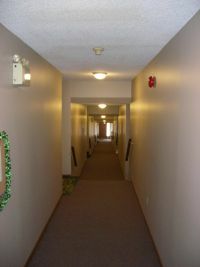 AFTER: Only 6 Ceiling Fixtures of 26 Watts each. EELCO's Custom-manufactured, 20-inch Wrought-Iron ceiling fixtures, fitted with Alabaster Glass with dimming CFL's. 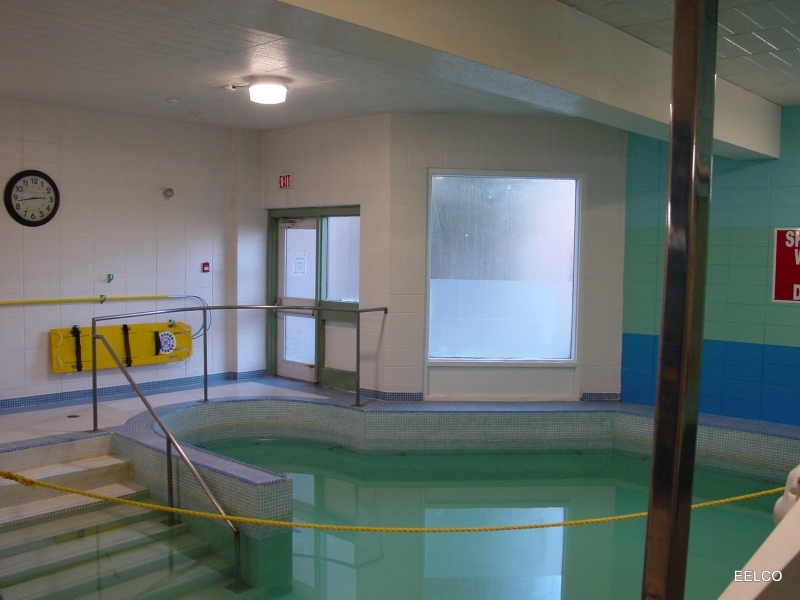 Are there aspects here that may be of interest for your Facility?